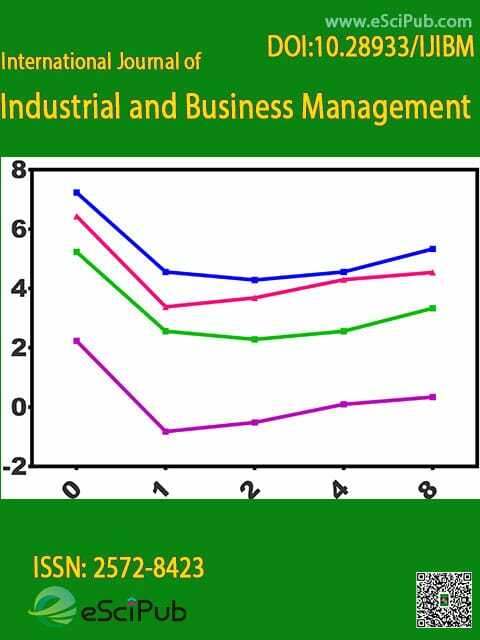 International Journal of Industrial and Business Management (ISSN: 2572-8423; DOI: 10.28933/IJIBM) is a peer reviewed open access journal publishing research manuscripts, review articles, editorials, letters to the editor in the area of Industrial and Business Management. Professor, Faculty of Economy, Department of Business Sciences, University of Calabria; Faculty of Economy, University Giustino Fortunato (Benevento – Italy). Professor (Operations Management), University of Mumbai a/f Institute of Management Studies and Research, India. International Journal of Industrial and Business Management is a peer reviewed open access journal publishing research manuscripts, review articles, editorials, letters to the editor in Industrial and Business Management (Indexing details). Please submit your manuscripts by the form below or IJIBM@escipub.com (use "International Journal of Industrial and Business Management" as the email subject line).